An Event Registration form plays a vital role and is a part of the very planning process itself. This is something that cannot be overlooked. According to the type of event you are going to conduct, terms and conditions are to be raised, safety factors are to be taken care of and with all these provings that you event won’t be a disaster, you must get it signed by the owner of the place where your event is planned to be conducted. You can also see Registration Forms. 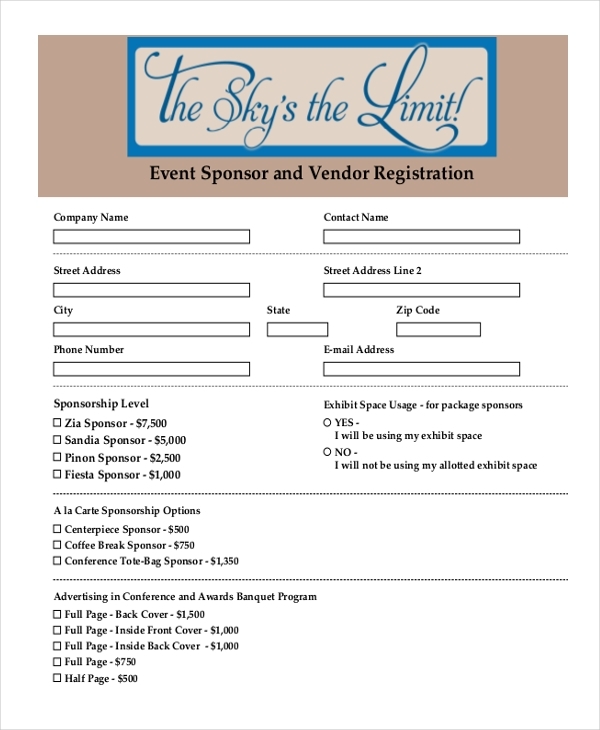 Event vendor registration form includes the details of the company that is going to sponsor the events, the sponsorship level, options, and advertising details along with the space that will be used to exhibit if anything is to be exhibited. You can also see Event Registration Forms. 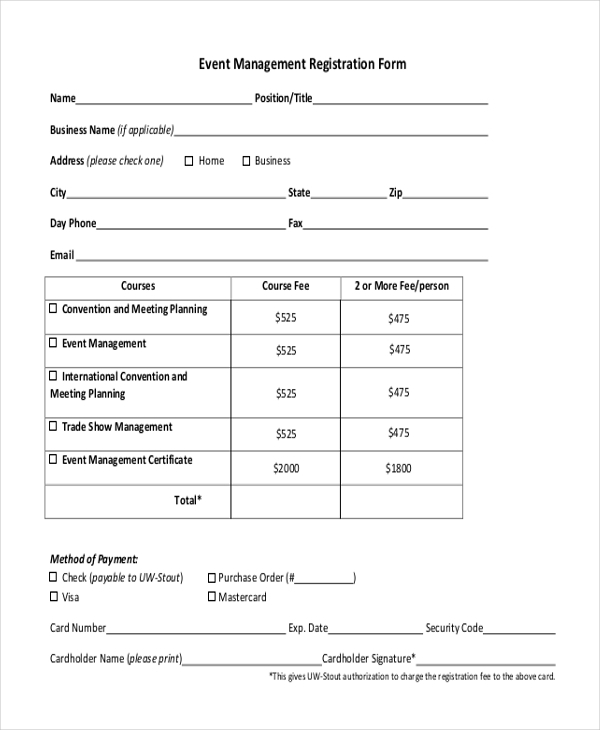 On a common note, an event management registration form is signed by the students who pick an event management course provided by some institution. This includes the details of the student and the course he wants to opt along with the mode of payment. You may also see Camp Registration Forms. 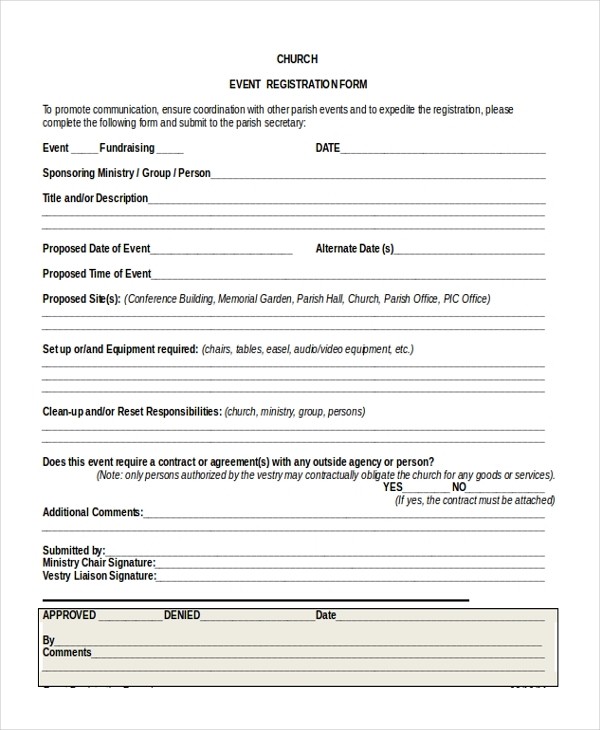 A church Event Registration form is signed by the event organizer and the officials who play a major part. All the terms and regulations are mutually agreed and signed in order to start the event. A school event has a lot of participation from the student’s end. 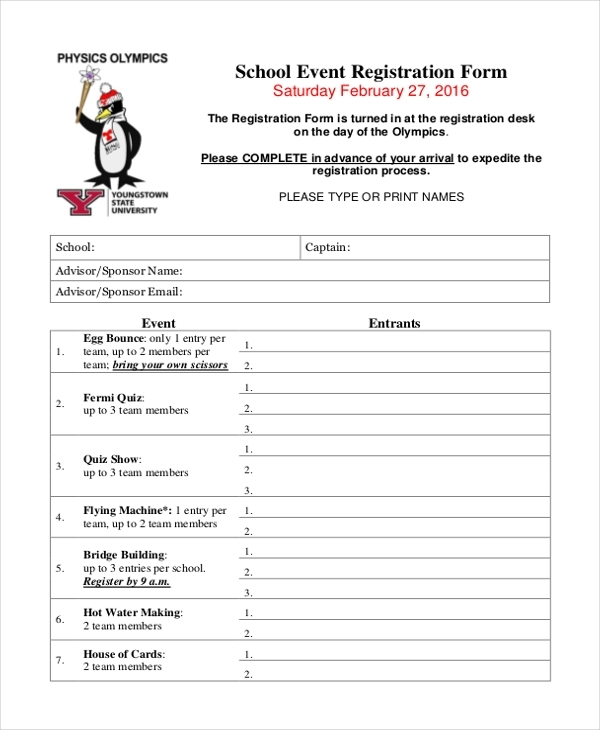 As a sign to ensuring the safety of students and the property, this school Event Registration form is signed. A good example for this is the summer camp registration forms. There are definitely risks involved with the social events. 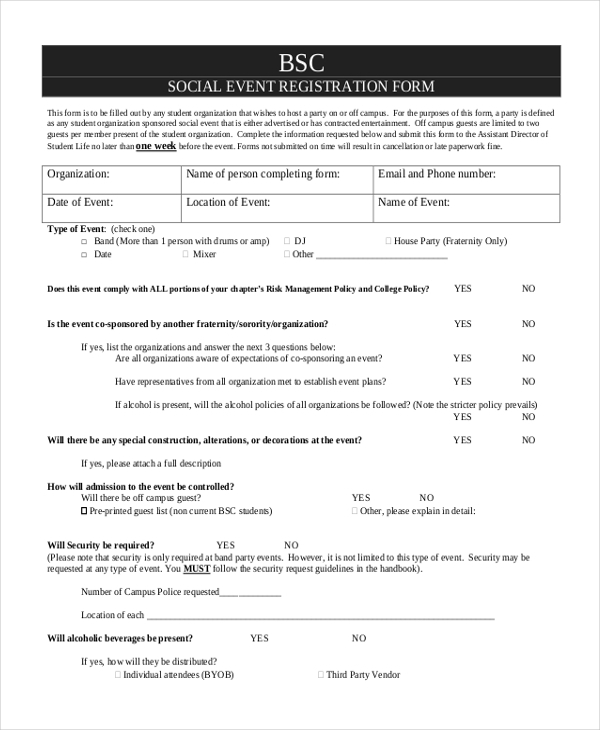 The social Event Registration form with all the security issues framed should be signed by both the place owner and the event organizer. Fundraising is not an easy process, given the legal issues involved. 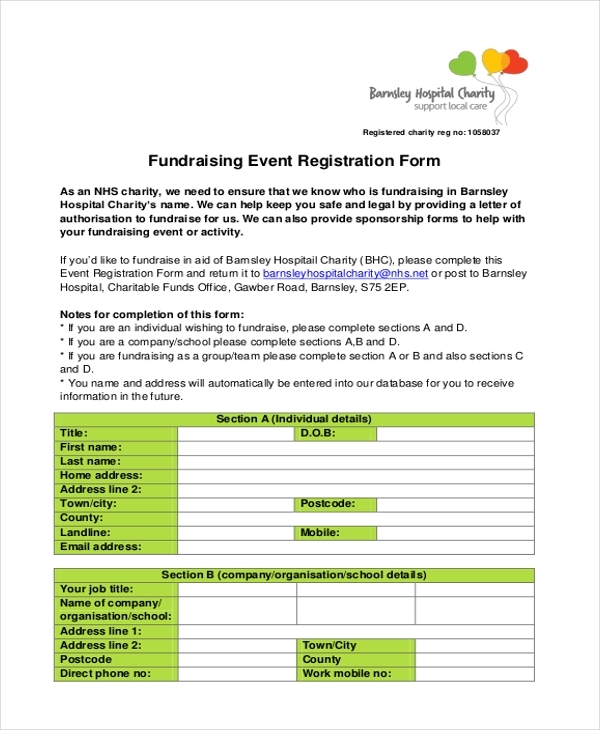 It is safe and advisable to get a fundraising Event Registration form signed that states the authorization to fundraise are provided to the fundraisers involved. 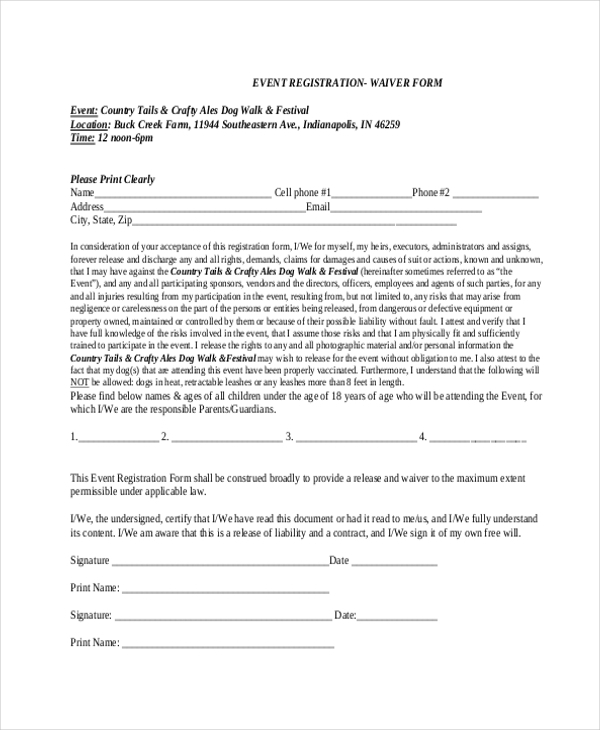 This Event Registration waiver form is signed by the participant and the organizer, wherein the participant states that he or she is fully aware of the risks involved and that the event organizer cannot be found guilty with any injuries that happen. Also, they assure the release of the photographs taken in the event without obligation. For any event, that has only girls and girls attending, it is mandatory to get a registration form signed. As the number of health issues that can arise to a girl is comparatively high, this form ensures she is fit and fine and will be taken good care if her health information is rightly provided. You may also see Hotel Registration Forms. 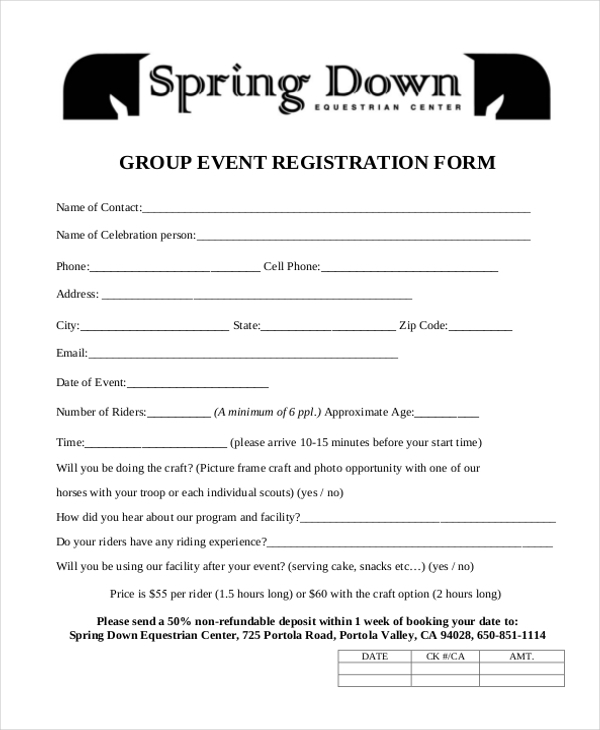 Just like any other registration forms, a group Event Registration form is filled with the details of every single person that belong to the group and their activities at the center. Further, some forms have a minimum count required to form a group. Apparently, for students or participants who are of an age that is less than 16, an Event Registration form is to be filled ensuring the boundary of the event organizers. All the terms and conditions are clearly mentioned in the form, on a legal front. 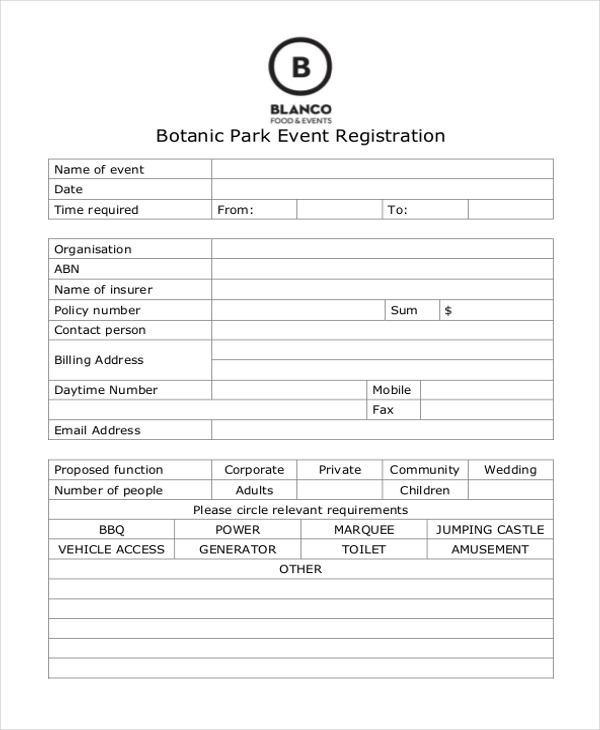 A botanic park Event Registration contains all the details of the event that is to be conducted inside the area of such botanic park. The form also includes all the relevant requirements that are expected from the place of owner’s end. The target audience is pretty huge if Event Registration forms are to be considered. The crowd includes the participants, the event organizers, and the place owners. For students who are under age, their parents get to sign the form too. Now, every event with respect to its nature has different kinds of rules and regulations followed. However, the terms are mutually agreed and signed by the event organizer and the event place owner on a major note. 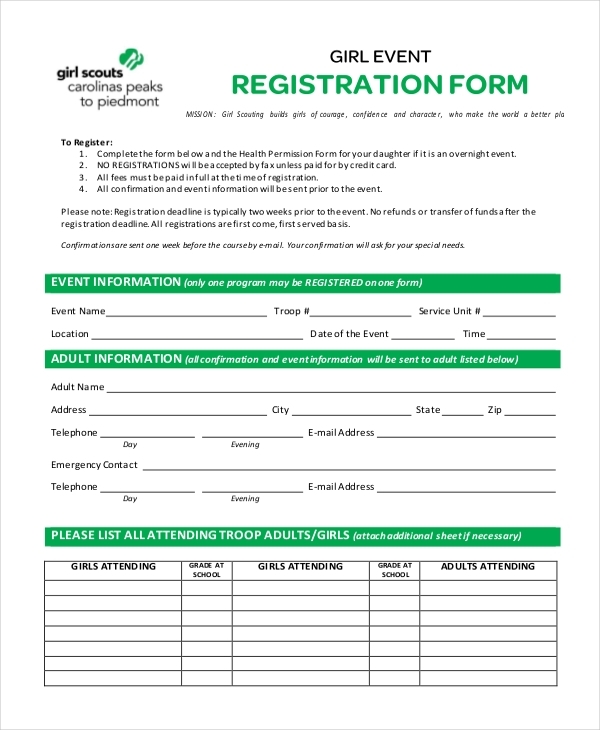 Sometimes, for events related to scouts program, or a trip activity, or a minor girls’ trip, the participants are also requested to sign and submit the form with health forms involved. You may also see NGO Registration Forms. What are The Benefits of Event Registration? Event Registration forms have a wide range of benefits. However, the major one includes blocking further doors that are open to legal issues. 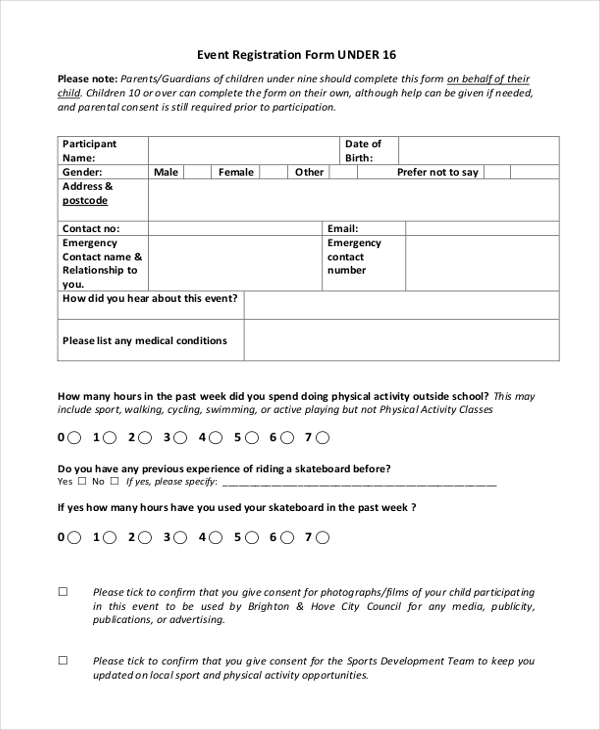 For instance, if on a scouts program, a student falls ill, this form that was already signed and submitted by the student along with the health history form, will be reviewed and relevant treatment procedures will be given. On the off hand, if a spontaneous incident like a student getting injured happens, then the event organizers will not be liable as the student had already signed the form that signifies he is liable to the spontaneous occurrences that happen during the activity. You can also see School Registration Forms. Given the benefits, it is apparent that the Event Registration form, if signed, can be beneficial to both the end and many legal issues can be avoided as an Event Registration form is legally binding. Though, planning relevant safety measures and after-effect treatments according to the event nature is mandatory.